Replacement lock barrels for panniers??? I've searched high and low in the internet and haven't found anyone else with my issue. Surely I'm not the only One! Please get back to me if you have any information on where or how I can go about getting replacement parts for my bags. Thanks in advance! Your dealer is probably going to be the only ones that can help. I took my spare trunk lock core that comes with the bike to a locksmith and they told me they'd have no way to source a new one. Say it ain't so! 😣 The dealer has already said that I would have to order a new set of panniers as the lock cylinders aren't sold separately. There's just no way I'm gonna go that route. I was hoping there was a Givi, Yakima, or other lock cylinder that would fit and could be ordered as a set, with a key. I'll remain hopeful for now. Thx for the reply monocog007! I have a set. Bought an new old stock bike that was missing the lock cylinders so I got a set. A couple months later, the dealer found the original set and gave them to me. I paid $150 for the set if you're interested. 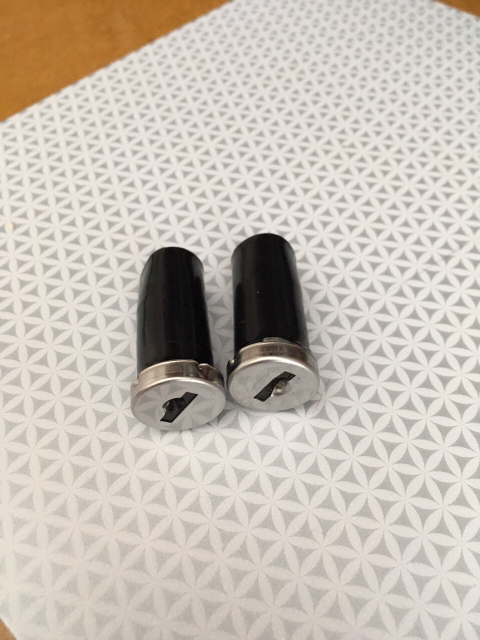 They can easily be matched to your key by moving the pins around. Do you have the latches that get screwed to the ends of the cylinders? Omg,.... Yes, I have everything but the cylinders. Is it difficult to set them up to accept my key? Any kind of tutorial or step by step I can follow on the web?? Let me know! I'll gladly take them off your hands. I look forward to hearing from you again! I'd also try to contact givi. And if they have the cylinders - I'm pretty sure they'd be stock items - you can go to locksmith to adjust the for your keys, or carry 2 keys. That's a locksmiths job, not a friendly DIY tutorial. It's actually quite easy with these barrels. Do t even need special tools. The sliding pins pull out of the core itself, right? I've had them apart before at one point but it's hard to remember what they look like. Yes, they pull completely out. But be careful that the springs don't fly out when you pull the pins.